Over the last few months your staff team have been working extremely hard on bringing CedarCraft a beautiful overhaul. It's my pleasure to announce the upcoming release of a brand new website and server! The current site has served us well for the last seven years or so, but in much need of a face-lift. Over the years our site has become cluttered and is looking a little dated. Get yourself ready for the new CedarCraft website on 1st December 2018! With an impressive 54,000 posts between over 2,800 current members, the current site has become bloated and difficult to manage. Due to this, we have opted for a clean slate with the website launch. This means the forums will be empty and all users will need to register again. However, the current site will be forever available to browse through and view (just not post) should you want to access an old post or take a trip down memory lane. The new server update brings a complete overhaul to CedarCraft as you know it! With a new multi-server hub system, no longer will we lose old maps when we reset! You will always be able to join and continue to play in old CedarCraft maps (starting with the current map) with the same items, towns and money etc! New stunning map built lovingly over many months by our architect team! Updated to 1.13.2! Auto-resetting resource worlds where you can freely mine and gather resources without worrying about the environment! Spend Ember to promote yourself up the Cedar hierarchy and unlock special perks along the way! Ability to place TNT, anyone? Earn Ember by doing the things you love doing in game, such as mining, farming, chopping wood or simply killing things. As well as money, you will unlock additional special perks when you get experienced enough at a certain job! Voting crates that you can unlock every day for voting for our server, packed with some great (and some not-so-great) goodies! Towny nations, allowing you to increase the amount of residents towns can have. Town block size reduced (price adjusted accordingly) to allow greater flexibility in making your towns look unique! More convenience to players to help easier interaction: all players will be able to teleport to others and to any Towny town! We look forward to joining you with your new upcoming CedarCraft! We hope you're as excited about these upcoming changes as we are! What were you doing SEVEN years ago? For CedarCraft, we were opening our virtual doors for the very first time! And how far weâ€™ve come too! For our seventh birthday we wanted to let you know about some big changes coming to CedarCraft! These changes have been under way for several weeks and will soon be released for you to enjoy! CEDARCRAFT HUB - CedarCraft will be getting a central hub, a world that acts as the centre of the ever-expanding CedarCraft network! On a technical level, this means that different worlds can run completely different plugins and databases. But what does this mean for you?! Well, this means that when it comes to map reset time, old maps will be STAYING, along with plugin settings such as your account balances, towns, mcMMO levels etc., so you can continue to play these maps at any time, in addition to new adventures on the latest map! The hub will also allow for future possible game modes to come to CedarCraft. A WHOLE NEW WORLD - following on from the hub, we will be launching this with a brand new map! Built by our fantastic architect team of Lunchmeats, rocksvin and Oraivec, our new stunning map will simply leave you in awe (trust me). Using the new 1.13 map elements, our new map is designed with both types of players in mind - those who wish to jump straight into the world and those who wish to explore and find every nook-and-cranny. RESOURCE WORLD - No more do you have to walk for miles to find that bit of sand, or dig for miles to find just a vein of coal! We will be adding a randomly generating resource world and nether, in which you can teleport to a random location, and resets (to a different seed) twice per month! NEW WEBSITE - we are currently putting the finishing touches on a brand new, sleeker and more modern site for the CedarCraft network! IN-GAME RANK SYSTEM - Make your Ember matter! Climb the ladder of CedarCraft ranks using the Ember you earn in-game to unlock additional commands and abilities, such as additional /sethomes, ability to use TNT and even the ability to keep items after death! MAKE A LIVING - So what ways do you have to make additional money? We will be introducing a jobs system, where you get paid in Ember for doing the every-day Minecraft things that you enjoy. You will be able to choose from a selection of jobs (such as miner, alchemist, farmer) and get paid in Ember for the work you do (e.g. making potions, mining). In addition to this, as you level up your job level, you will unlock additional abilities such as permanent mcmmo boosts, status boosts and abilities relevant to that job! In addition to these major changes, there will be lots and lots of smaller but significant changes coming. We will keep you updated with the full changes that will be coming to the server. Thank you for being a truly valued member of this community for at least some of the last seven years, and I can only look forward to the next years going forward. A special thank you goes to our staff team, the old and the new, who volunteer their time day-in-day-out to keep your community running smoothly and safely. Finally a huge thank you to everyone who has donated their hard-earned money to the community to ensure that we can continue to provide CedarCraft to you all. We owe all of this and all that we will become in the future to your generosity. Keep Inv and Exp on Death! Good day to you CedarCraft! Sick of falling in lava and dying, losing all of your stuff and exp that took you hours to grind? Tired of being too scared to go outside at night because of the terrors that threaten your very existence?! We are trialing a donation perk that we have released, whereby once a month a generous user can both support CedarCraft's future development AND save the inventory and exp on death of all users on the server for a whole month! Click here to have a look at our global perks store including this new addition. The cauldron block is boring right? I mean used correctly it can be a good decorative piece but it doesn't _do_ anything. Well, that used to be the case anyway! 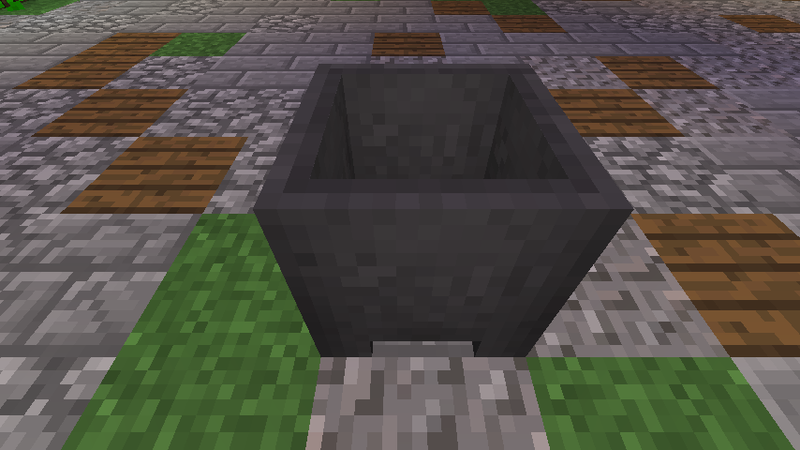 Thanks to our new plugin cauldrons now have functionaility, they can be used to cast concrete powder to concrete blocks and lava to obsidian. 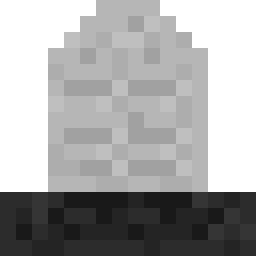 To cast concrete you simply need a filled cauldron, right click on the cauldron (ensuring there is a block space between you and the cauldron) and out will pop a cast concrete block! This will consume the water from the cauldron so you might want to form a infinite water source above the cauldron from which it will now refill. To avoid blocks flying everywhere you can place a hopper under the cauldron and cast blocks will go into the hopper rather then on the floor keeping things nice and clean . To cast obsidian you will need an empty cauldron which has water flowing over it (non-source blocks will not fill the cauldron). As before hoppers can be used to "catch" the cast blocks. We hope you like this addition to our server, if you encounter any issues then please report them on the forums, or if you have any other functionality that you think should be added to cauldrons then please create a suggestion post! CedarCraft is now on 1.12!